First Celebrity Guests Announced for the 2019 Flashback Weekend Chicago Horror Con! 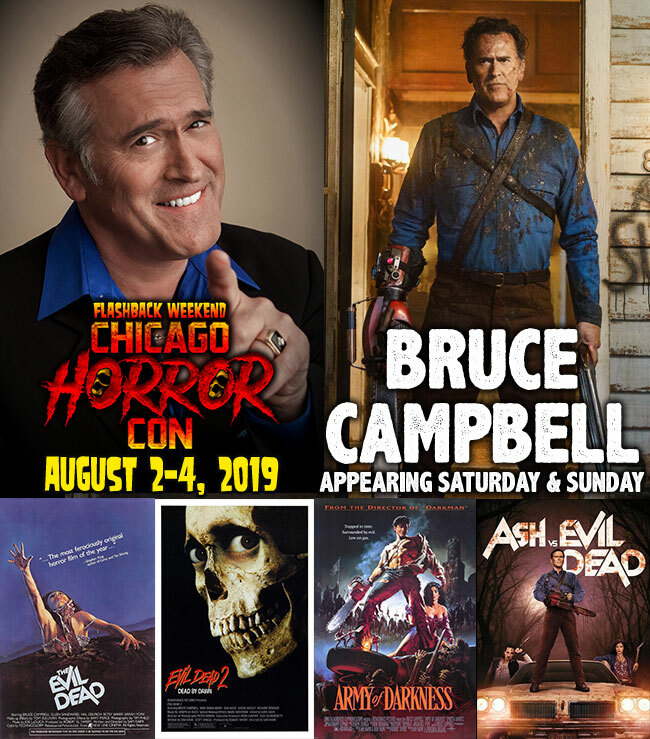 The Flashback Weekend Chicago Horror Con is very pleased to announce our first Celebrity Guest for 2019: The Legendary BRUCE CAMPBELL! Stay tuned for many more guest announcements in the coming weeks! 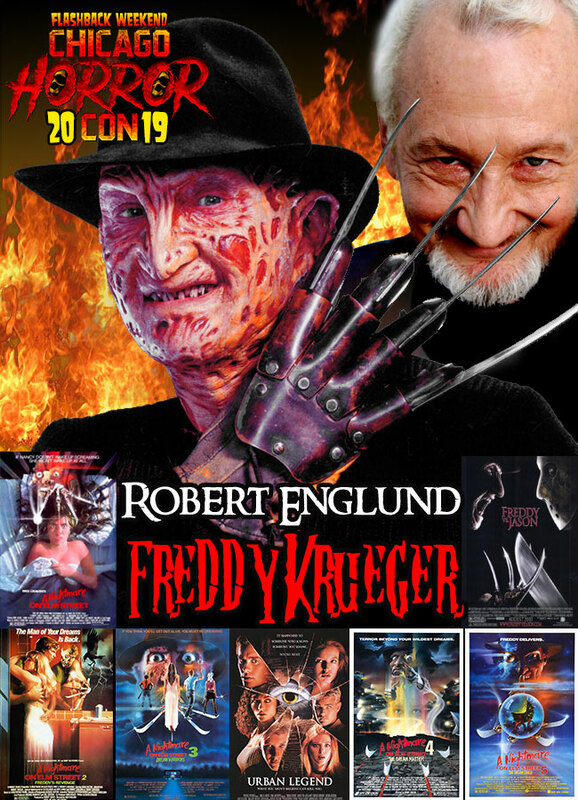 The legendary ROBERT ENGLUND (Freddy Krueger) will be a very special guest at Flashback Weekend Chicago Horror Con Aug. 2-4, 2019 at the Crowne Plaza Chicago O’Hare in Rosemont, IL. Robert will be joining Bruce Campbell (“ASH VS. EVIL DEAD”). We have a HUGE guest line-up planned for 2019 and special events, parties, screenings, and much more. Party the night away at the Murray Bros Caddyshack Restaurant & Bar at the Crowne Plaza. Discount hotel rooms at the Crowne Plaza Chicago O’Hare are now available for booking. Full details at http://www.flashbackweekend.com!